Fantastic, updated condo in Club Monaco! Penthouse level, corner unit flooded with natural light offers an open floor plan which lives large. Condo has been updated to include new hardwood flooring with a weathered grey finish, open kitchen, newer appliances, and concrete countertops with an epoxy overlay, LED lighting, custom bar with concrete countertops to create a separate home theater area for watching the ceiling mounted projector, and new paint throughout. Sizable bedroom offers newer carpet and an expansive walk-in closet. Bathroom has been gutted and redone with a custom concrete vanity, designer tile, LED lighting, and custom barn door. Living room has a real wood burning fireplace, perfect for those winter nights, and covered balcony offers a serene outdoor space to enjoy. One car detached garage includes a new garage door + opener. Washer & dryer included. 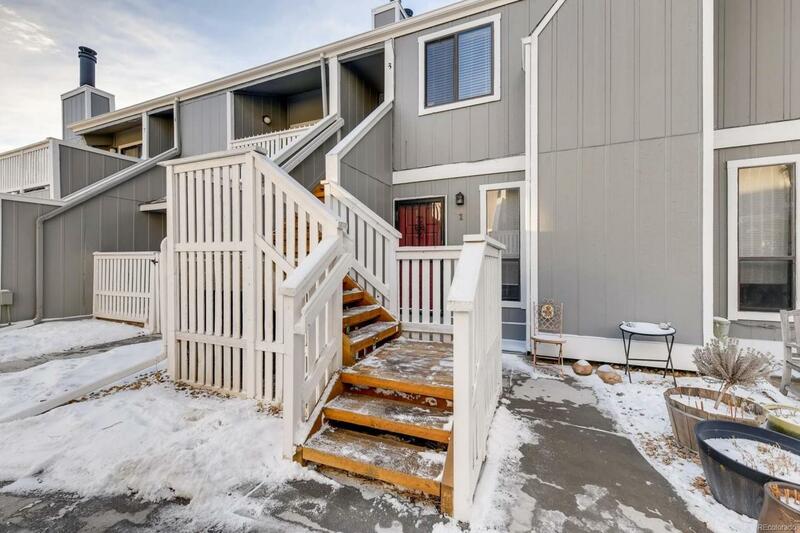 Excellent, central location within great proximity to Cherry Creek, DTC, shopping + dining. Nothing to do but move in!